Today I had lunch with some of my IBM colleagues who are students in the class I'm teaching. We ate at a big cafeteria five minutes' walk from the office. It had the feeling of a canteen for factory workers, from some bygone era of one-size-fits-all socialism. The food was simple, but tasty and filling. I had the set menu of musroom soup and pasta with turkey & vegetable stew. 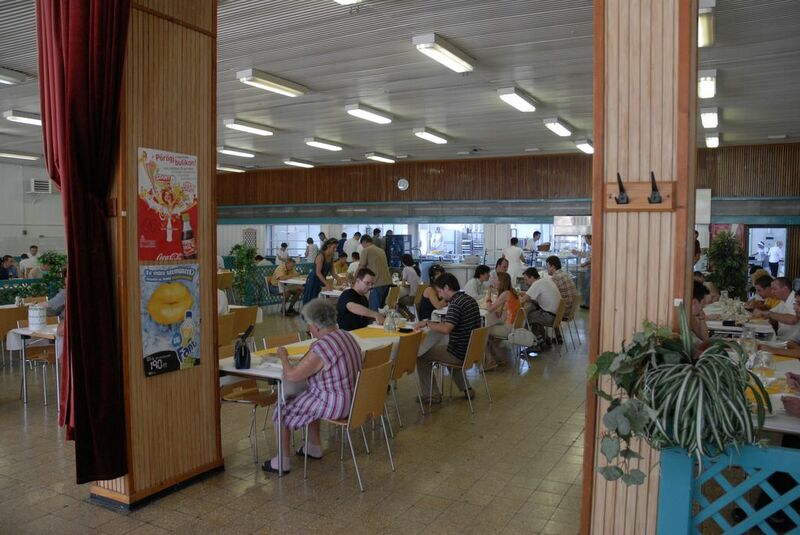 The place reminded me of a similar canteen that I visited in Budapest fourteen years ago. At the time, I ordered something at random from the menu, and ended up with something unidentifiable on my plate. At least this time I had help from colleagues to tell me what I was ordering! Another plus is that lunch today cost less than 2 €. After lunch we walked back to the IBM office. 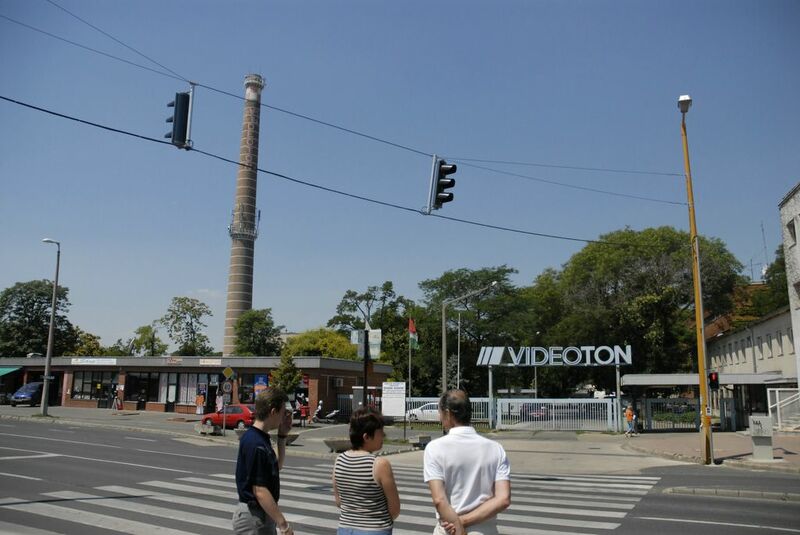 Here's the main entrance to the Videoton area in the Northwest part of the city. If you lived in Hungary more than 20 years ago, your radio and television were manufacturered here. One size fits all. Speaking of that, I've seen lots of Trabants on the street, and mostly, parked — perhaps because they're no longer running. The Trabant was a car of East-German manufacture; it was small and underpowered, but it can still be seen in many of the former socialist countries of Eastern Europe. 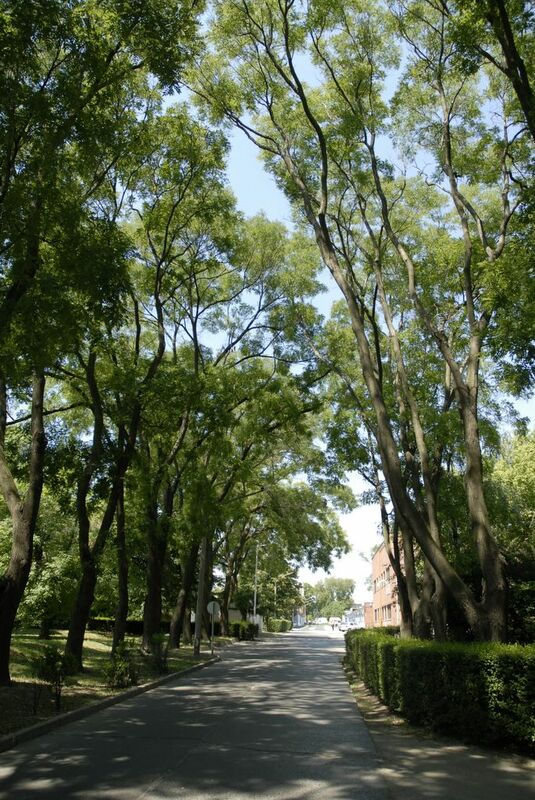 Inside the Videoton area ther are some nice tree-lined streets. I'll probably appreciate the shade tomorrow and especially on Thursday, when the temperature is expected to climb to 38 °C. 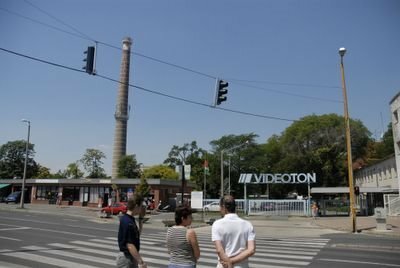 If you lived in Hungary more than 20 years ago, your radio and television were manufacturered here. One size fits all.